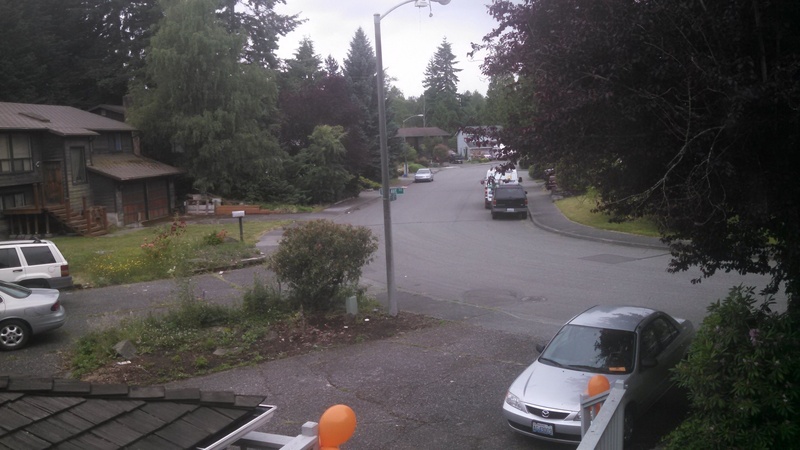 Well, I bounced up to Seattle last weekend for a friends 40th birthday. 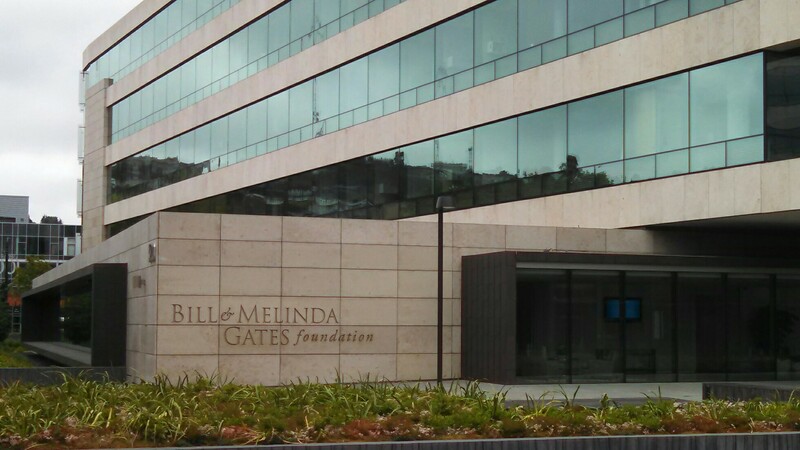 While I was up there I had a chance to get a tour of the Bill and Melinda Gates Foundation (It’s where my friend works). Talk about a neat place. There are two huge buildings with a nice courtyard in between. 6 floors each. Each floor has a coffee/break room that would make a Starbucks jealous. While I was visiting the Co-Chairs were in the building. I didn’t see them directly because they were in a meeting and the office was closed off, but I saw them from next door siting around a big conference table. I’m very impressed with what the foundation has been doing. Talking with someone who actually works there and knows the challenges and goals (albeit from a limited perspective) really gives a person a different view of what’s going on. While up in Seattle it rained every day I was there (only 4 this trip). However, it makes things so green and different that I’m used to in California. Here’s a picture of the road in front of my friends house. Houses, street, trees, bushes, GREEN things everywhere. I know a lot of places raze the ground to dirt, then build houses. It’s not like that where I grew up. You clear enough land for the house and leave the trees, bushes, etc, where they were. I like that style.